There’s a difference between living frugal and living cheap. Living cheap means denying yourself. Living frugal means being smart about money. It means living below your means so that you can save or invest money. If you’re looking to start being smarter about your money, we’ve got the best frugal living tips to start you on your way. Pick the right credit card. Keep reading to learn how these tips can help you live frugally. When you buy name brands, it’s probably because your parents or someone else you trust told you those are the best products on the market. Or maybe it’s because you saw them in a commercial. Before you buy name brands though, check out the generic labels. In many cases, generic products work just as well as name brands for a fraction of the price. If you’re going to use a credit card, make sure you’re getting the most out of it. Want to travel? Look for cards that offer frequent flyer miles. Are you a foodie? Find a card that provides extra points for dining out. If you’re on the road a lot, look for cards that let you double or triple points at the pump. Don’t jump at the first offer that comes your way. Take the time to find a card that will help you save in other areas of your financial life. The average household in America has $15,310 in credit card debt. If you have credit card debt, you can still achieve a frugal lifestyle, but you should avoid racking up more. 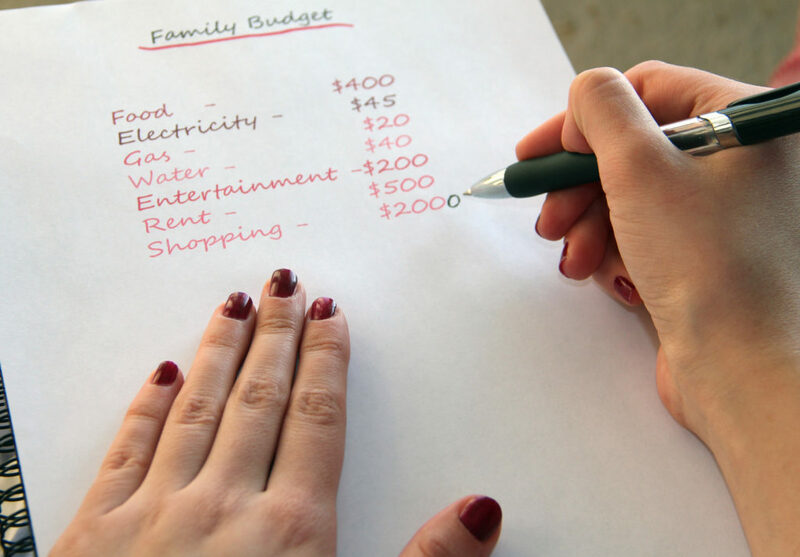 Budgeting is crucial if you want to live frugally. If you don’t know what money is coming in and where it’s going out, how can you live below your means? Creating and maintaining a budget can be tough, especially if you’re new at it or on the go a lot. The good news is that there are many budget planning tools you can use. Remember when we were talking about buying generic? Sometimes the name brand is better. For those products, coupons can bring the price down. Cheaper products aren’t always better, but sometimes you can get what you need for less if you comparison shop. Whether you’re looking for the best price for a type of product, or you’re looking for the store that offers the lowest tag for the same product, comparison shopping can save you money. Planning meals before you go to the grocery store not only helps you save money, but it can help you eat healthier too. It also makes the question, “What’s for dinner?” a piece of cake to answer. By planning meals ahead, you can go to the grocery store with a list. This can keep you from buying things you don’t need. 53% of shoppers plan the foods they will buy before even setting foot in a grocery store. For more help with achieving the frugal lifestyle, contact us today.